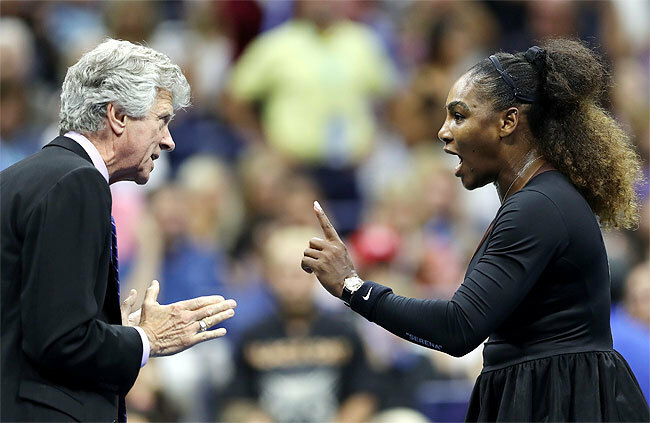 Serena Williams yells at chair umpire Carlos Ramos in the women’s final against Naomi Osaka. 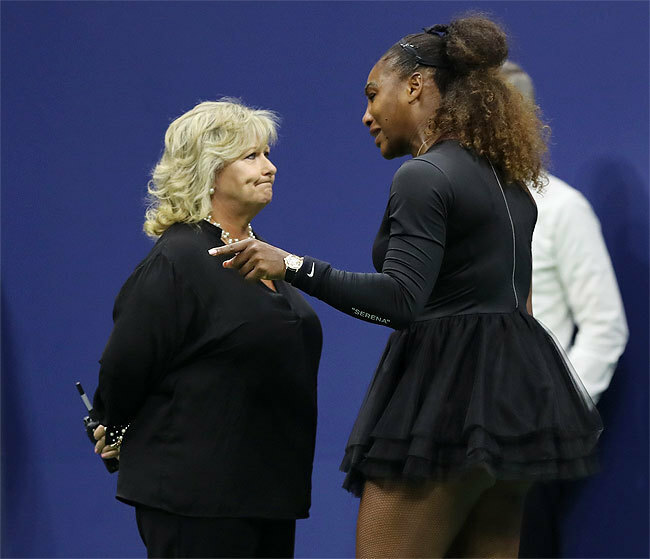 NEW YORK: Serena Williams insisted she was not cheating in the US Open final on Saturday before accusing the sport which has made her a global icon. Naomi Osaka won the final 6-2, 6-4 to become Japan’s first ever Grand Slam singles champion and delay Williams’s bid for a record- equaling 24th major title. Williams said that her coach Patrick Mouratoglou had not been coaching her even though the Frenchman said that he had and that all coaches do it. Cornet was accused of “unsportsmanlike behaviour ” before tournament chiefs apologised , admitting the umpire made the wrong decision.